Just before Christmas, I received an email from the Port Vale Foundation. 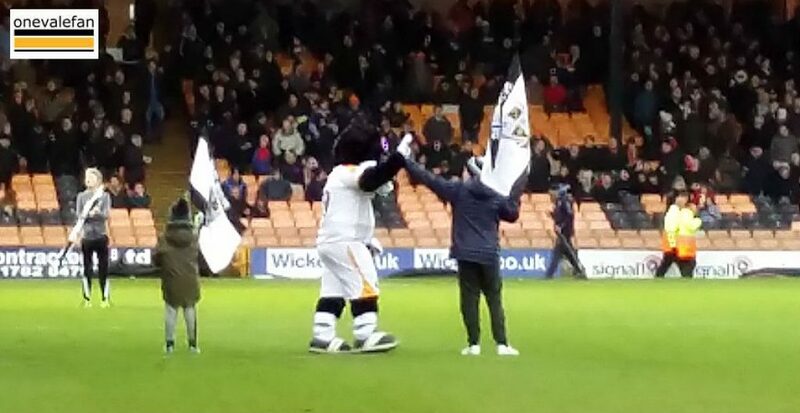 My son, Fred, who had joined the Junior Valiants this season, had been selected to take part in the Ultimate Matchday Experience – in effect he would have a tour of the ground, a football coaching session and be waving a flag as part of the guard of honour as the teams entered the playing area. I was travelling up to Stoke over the festive period so I selected the Luton game as Fred’s big day. We dropped him off in the morning and didn’t see him again until he emerged from the tunnel at around ten to three. However, in the meantime he had been texting us (on the phone he’d had for Christmas) telling us what a great time he had had. My wife Jo and I were sitting in the family area of the Bycars (so we could sit with Fred after his duties were completed) and we spoke to the stewards in there about walking around to take photos. Nothing was too much trouble for them. We were escorted around by a friendly steward (who I also noticed handed out sweets to the Junior Valiants) and I was allowed time to take some snaps. Sometimes the stewards don’t get much praise at Vale Park but I can honestly say that the chaps in the Bycars were an absolute pleasure. They chatted with us, had a laugh and were always willing to help. 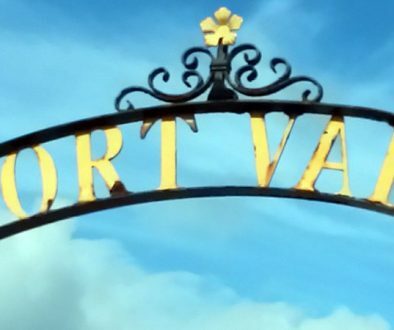 We can say much the same of the Port Vale Foundation Trust. Fred had a brilliant time and this day could just have cemented his support of the club. He has now made a friend he wants to meet at future games and is keen to go to more matches (though the 4-0 thrashing of the league leaders could also have played a part). These sort of activities are crucial to attracting young supporters and the Port Vale Foundation are clearly doing a fabulous job. 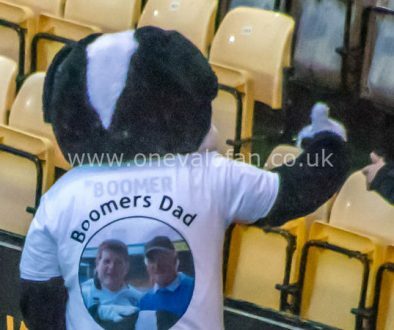 A final word of praise to Boomer who Fred thinks is hilarious (mainly due to the mascot continually nicking his Vale hat) and who is always on hand to entertain both young and old supporters. As the photo at the top of the page shows, he was also helped out at the guard of honour. High fives all round to the hugely popular mascot and his helpers. 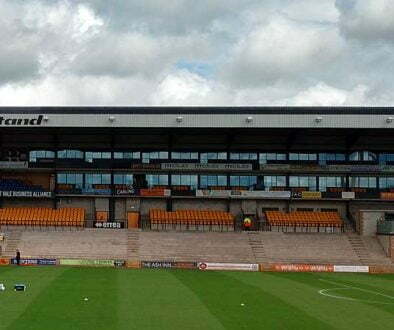 So hats off to both the Bycars Stand stewards, Boomer and the Port Vale Foundation Trust workers – they are, in my opinion, a credit to Port Vale FC.